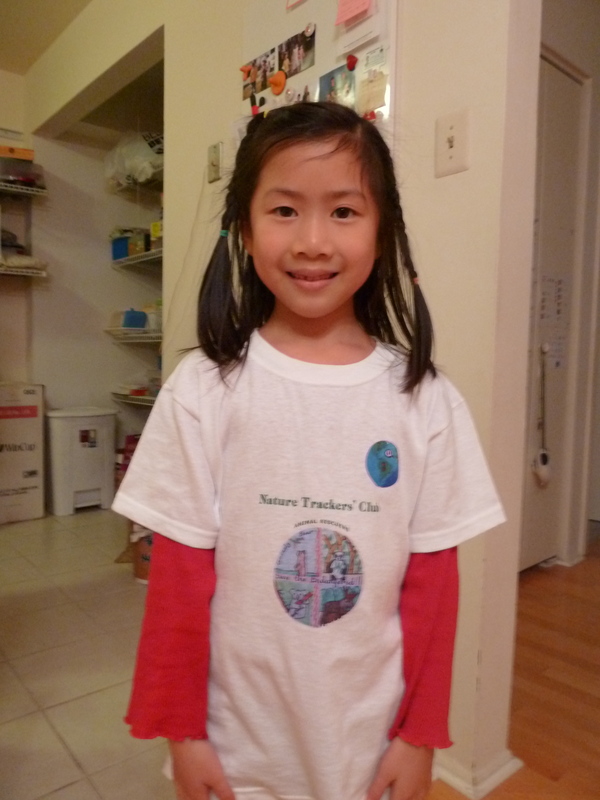 Only in first grade, Andie Zou attends Step by Step Homeschool in New Jersey. 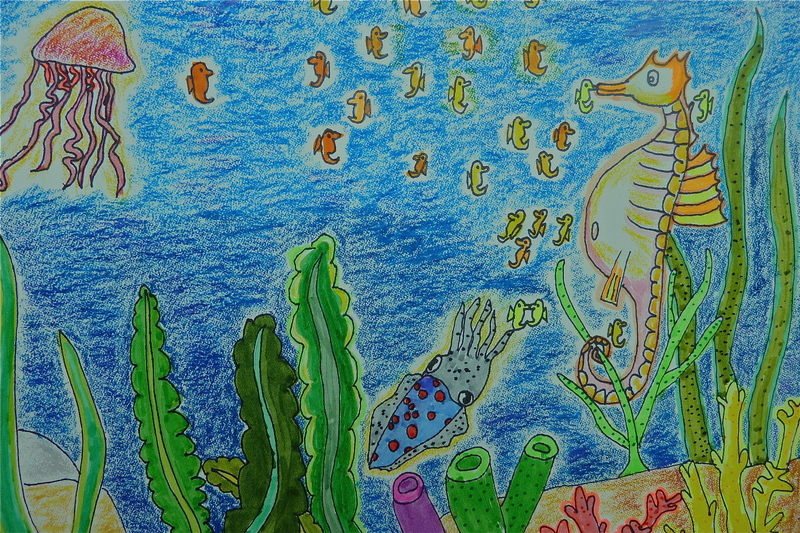 Andie’s art, “The Love of Papa Seahorse“, was one of ten winning pieces selected for the Summer 2012 art contest. This means that Andie had one of the best entries for her age division out of hundreds that were submitted for the summer contest. Andie’s plans for the future include drawing many animal pictures and trying to sell them to raise money to help endangered animals. Sixth grader Natalie Plourde studies weekly with artist Lisa G. Bailey. She lives with her parents and two cats while attending Miscoe Hill Middle School in Mendon, Massachusetts. This summer, Natalie was chosen as a Top Ten Winner in our national art contest. This recognition puts Natalie’s art as one of the ten best in her age division out of hundreds submitted for the contest. Natalie has had a passion for creating great art ever since she was a baby who picked up some chunky crayons to color on the living room wall. She is now an eleven-year-old who captures her art on paper and canvas, but hasn’t ruled out those walls. She is planning a mural for her bedroom. Summer 2012 was her first time entering a CelebratingArt contest. Natalie loves to create digital art on her computer and paint with watercolors, but her favorite medium is simply sketching with pencil. 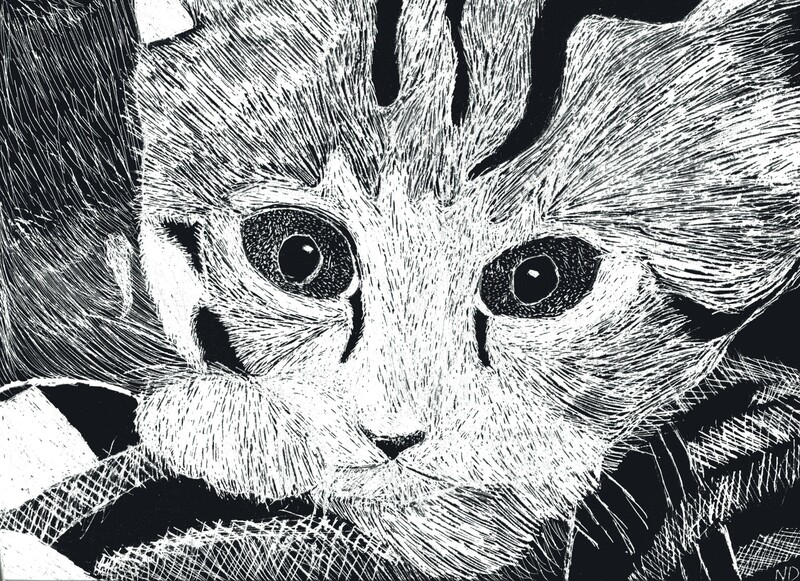 She composed her winning piece, “Cat Scratch” as a Scratch Art assignment during July 2012 as a student at Nipmuc Art Academy, a summer program through her local public school. 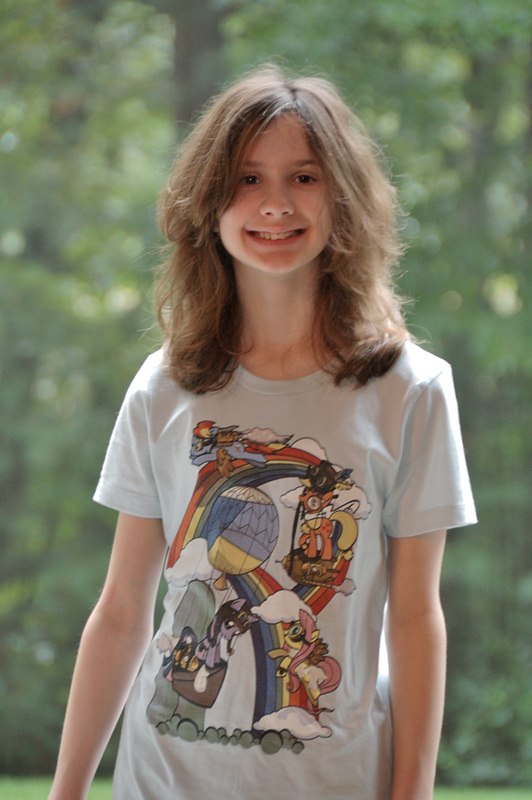 In addition to her art studies, Natalie is a competitive figure skater who plays the violin. Her plans for the future include teaching skating lessons while she goes to college to study art. She also dreams of one day being an animator. 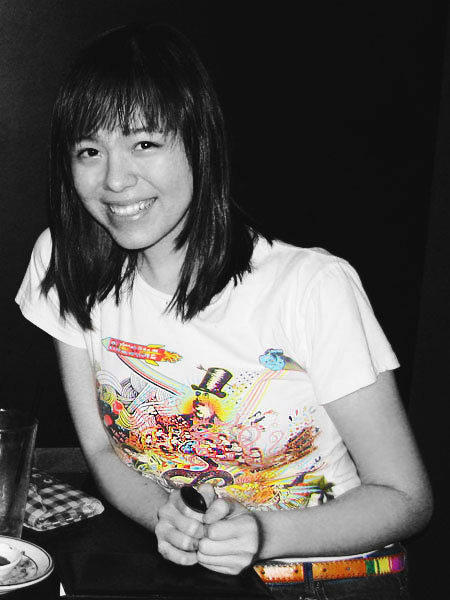 Allison Chin is a junior at James Martin High School in Texas. This summer, Allison’s art, “And So the City Awakes”, was selected as one of the ten best submitted in her age division. You can view her art and other Top Ten Winners here. We asked Allison to tell CelebratingArt more about herself and what inspired her winning piece of art. I would say drawing, as a child, was an inherent activity I did without putting much thought into it. I really found my direction and could determine a goal after being exposed to movies such as “Spirited Away” or “Howl’s Moving Castle” by Studio Ghibli. When watching, I felt like I was truly in their fantasy world. The art and animation isn’t photo-realistic and the story is a complete fantasy, yet the feel of realism is still so strong. These movies along with “The Lord of the Rings” triology became pillars of inspiration on which I could work from, among many other things. The more I watched and studied such movies, the more I fell in love with background and environment art. I love the potential background art has to manipulate the mood and even suggest a side story through small details and intricacies. Thus, my art has taken the direction of being story-driven. I try my best to suggest an underlying story to the viewer through the power of details, items, lighting, style, etc. For example, the piece that was chosen for Celebrating Art’s summer competition of 2012, entitled “And So the City Awakes”, was painted with the intent of it resembling an environment one could see in a movie scene or perhaps in the pages of a book. Heavily inspired by old-english architecture, I gathered elements such as decorative half-timbering, steep-pitched roofs, and arched windows, all things found in the real world, but then manipulated in the best way to represent the fabricated world I envisioned. I am extremely passionate about illustrating and conceptualizing stories. It has the potential to be so rich and offers endless possibilities. Ultimately, the goal which I have been working toward is to become a concept/background artist for games, animations, movies or books. You can find more of Allison’s work at her website: http://allisonchin.daportfolio.com. 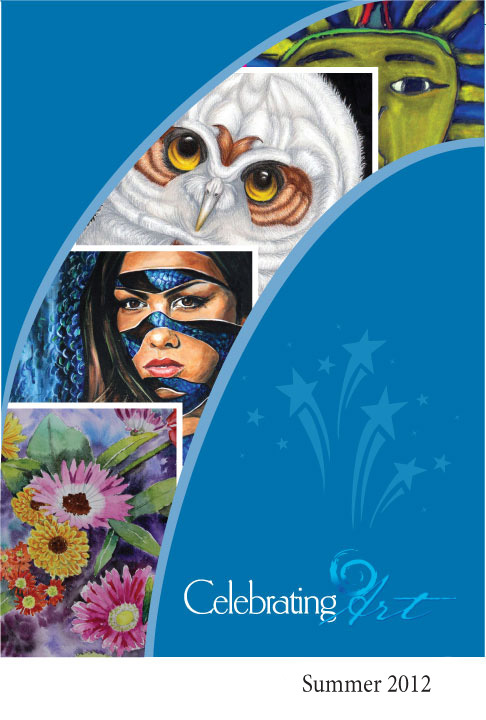 To learn more about our national art contests, please visit www.CelebratingArt.com. “As a teacher for over 30 years, I know the most rewarding moments come from making a connection with my students. These connections are times when you see a light come on and a life is changed. Having taught thousands of students, the greatest reward is when former students take the time to track me down and share the meaning that my class had in their lives. Whereas I still have these moments, it is of equal value when I receive an email, letter or call from a teacher who works with our contests. I view our company in a partnership with the teachers who participate in our program. Classroom teachers provide the assignment, and our contests provide the incentive and motivation that often become an integral part of these schools’ curriculum. This past week I received several emails from teachers thanking me for our contests. The emails related the significance that being published has for their classes. We always feel that students are the focus of our contest and publication. However, several emails went one step further and related the meaning it gives to the teachers who choose to work with our program. The emails told of intrinsic rewards teachers feel when they have students accepted to be published. It is often a reflection of a teacher’s impact when a student’s work is recognized nationally. Teachers share the recognition when a student is published or is a Top Ten Winner. Whereas there are excellent students, we have found that in many cases, behind every excellent entry is an excellent teacher.